Whenever you are moving from the 2G network zone to 3G network zone or vice versa, the ordinary smartphone/cell phone network will require you to switch to the respective network or the performance of your phone will be slowed, hindering the smooth communication. But, the Android has a feature which, when enabled, changes the network, automatically. 1: Tap the status bar to the right or left of the screen, depending upon the settings and drag it downward. 2: See the current status of networks is ‘2G’. 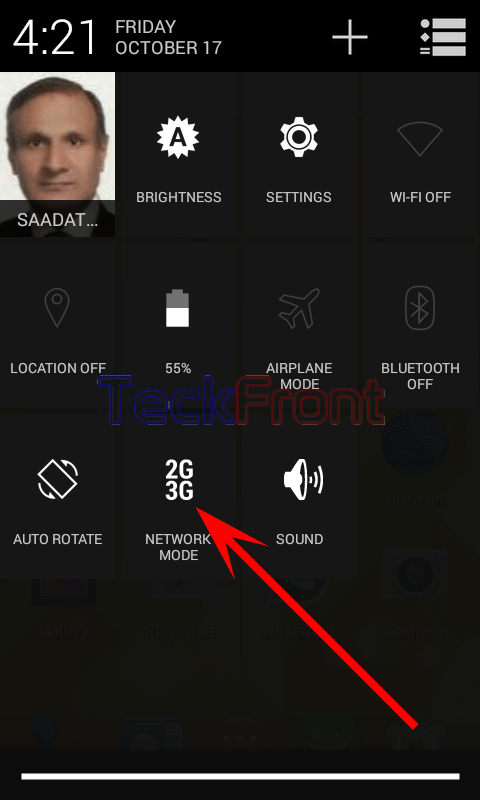 3: To convert your network to ‘3G’, tap it once and the status will be changed to ‘3G’. 4: If you want to set the switching to the automatic, i.e. it will automatically, change the network, tap it once again. It will be changed to ‘2G3G’. If you have selected and opted the third option, i.e. ‘2G3G’, you must not be worried. Your Android device will automatically convert your network to the available network. Older How to Uninstall Apps from Downloaded Apps in Android 4.4.4 KitKat Device?